If you have never been to the orthodontist, you may not be sure what to expect from your initial appointment. Will you need braces? How long will it take to fix your teeth? Will it be uncomfortable? Your first visit to your orthodontist is an opportunity to determine what sort of corrective help you will need. This can involve a study of your teeth, as well as a review of what options can be used to provide the help you need. It is also a chance for you to ask questions. 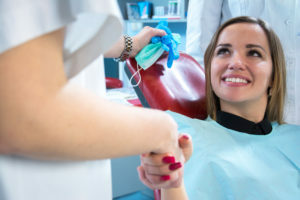 To help control the length of your visit, a second appointment meant to create diagnostic records of your teeth may be set. Orthodontic technology now includes methods of creating digital images of your teeth and jaw, which can potentially eliminate the need to take manual impressions. Your orthodontist can create advanced images that allow them to study your dental alignment, and make the necessary decisions for how to best treat your smile. If you want to know what sort of orthodontic treatment will be right for you, you will need to schedule an appointment. Some people need more help than others to straighten their teeth. 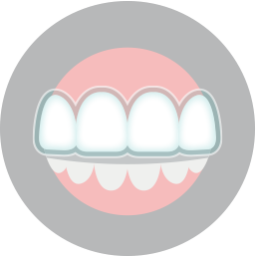 People with mild cases can receive help from Invisalign. This system uses discreet, removable appliances to straighten your teeth. If you do not qualify for Invisalign, you can have your teeth adjusted with tooth-colored brackets, which are harder to spot than metal braces. 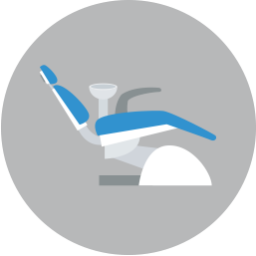 During your initial appointment, you can learn more about the benefits of cosmetic orthodontics.